This cosy little Thai restaurant next to Yangjae station was the perfect location for pre-performance sustenance. 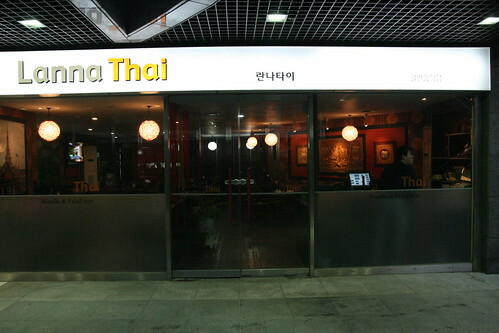 I settled on some 뽀삐아 (Spring rolls) for 4,000 won and the 깽펫느아 (beef red curry) for 12,000 won. Crispy little treats... Simple yet delicious. The red curry was equally tasty. 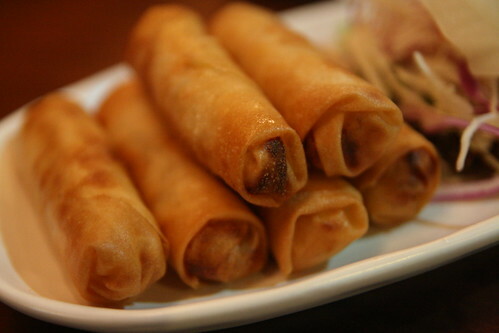 Very hot, very creamy and filled with aubergines, baby corn and beef. A wonderful winter warmer and guaranteed to fill up even the largest of stomaches. 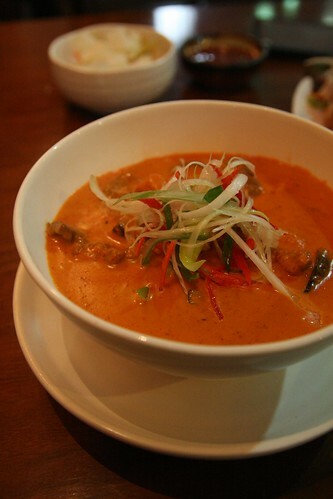 The chefs at Lanna Thai hail from Thailand and are able to produce some of the best Thai curries in Gangnam. 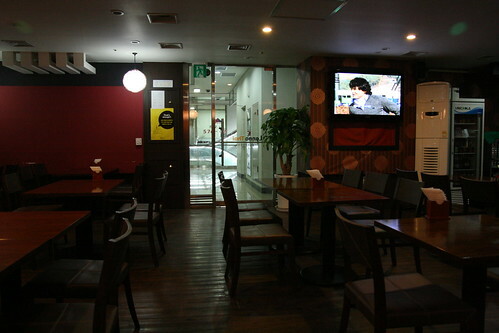 To get to this reasonably priced franchise take the subway to Yangjae station and use exit 3 or 4. 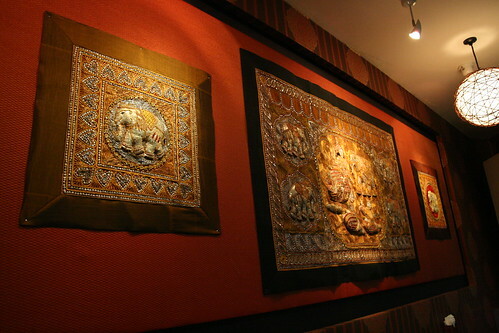 Lanna Thai is directly under the Daiso shop... You can call them on 02 577 0913 or visit their website here. good to know. I'll keep it in mind.And if you are ever interested in doing short right ups on your food finds for the groove, let me know.